Potential threats to an agency’s data can come in many forms. Insider and cyberthreats can delete or alter data but physical threats like hurricanes, fires, tornados and other natural disasters also have the ability to destroy servers, rendering an agency’s data useless. 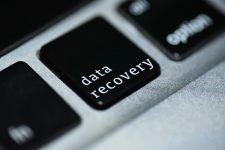 The only way to truly protect your data is to have a disaster recovery policy and backup storage plan in place. More and more agencies are turning to the cloud to effectively and securely meet these needs. Join us on Tuesday, July 17 at 2-3pm ET/11am-noon PT as we explore what makes the best disaster recovery policy and how to get your agency’s leadership on board. The biggest barriers facing agencies looking to invest in disaster recovery. Best practices for securing your data in the cloud. Examples of how successful agencies have proactively secured their data.